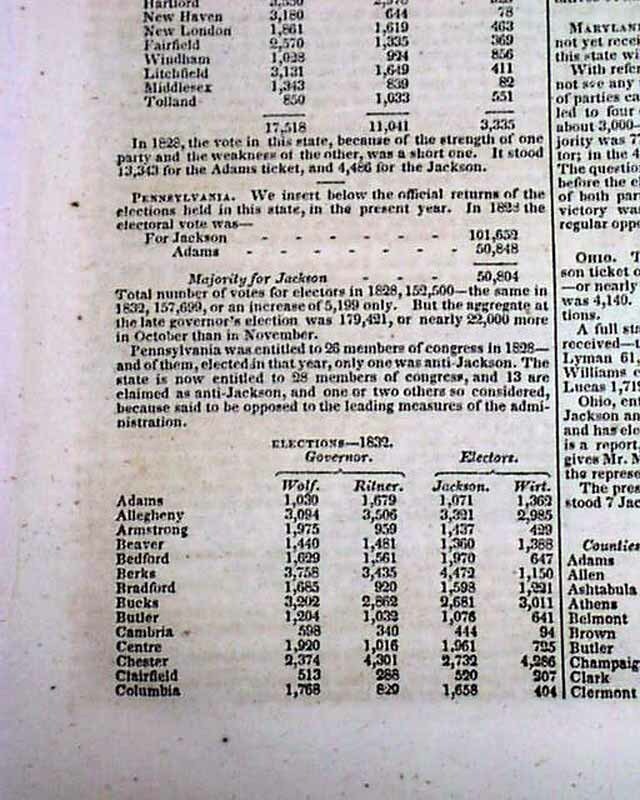 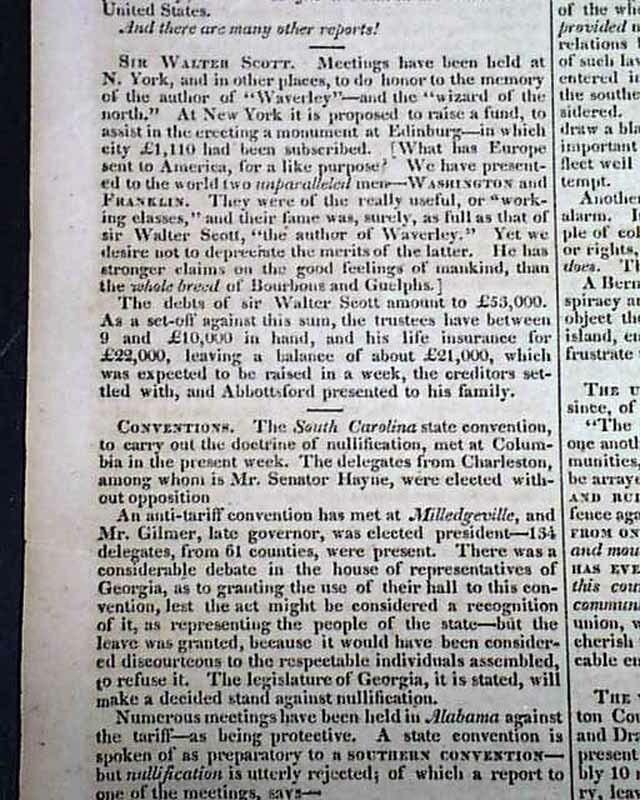 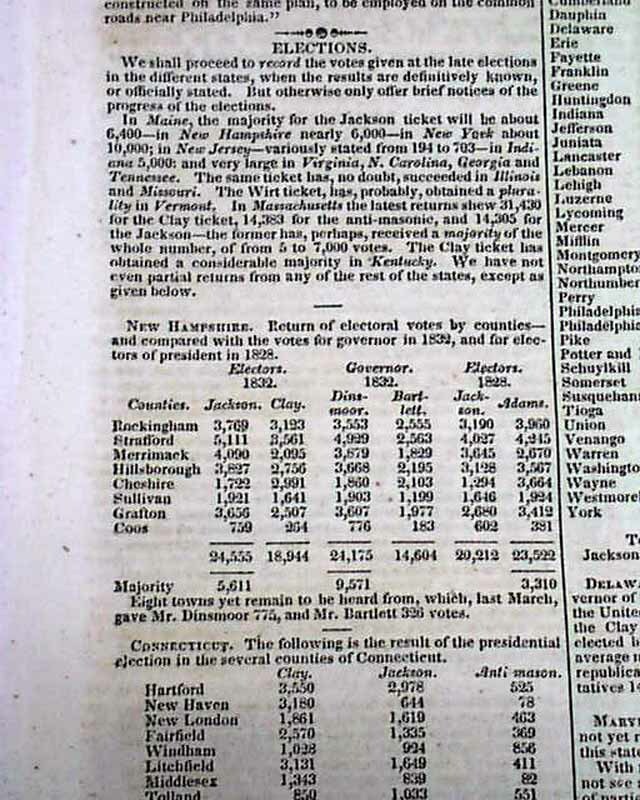 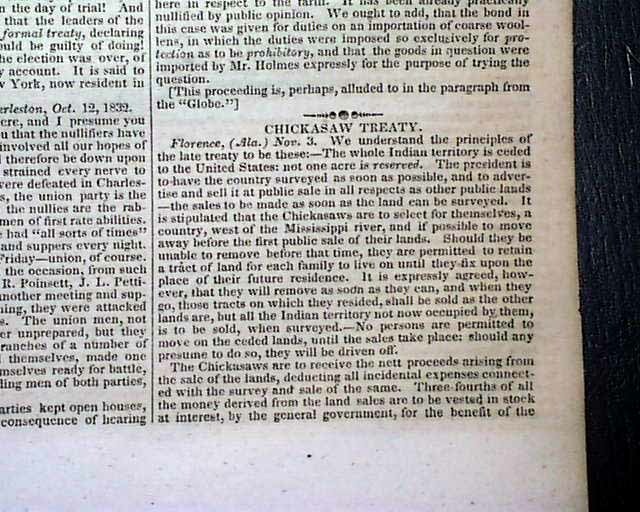 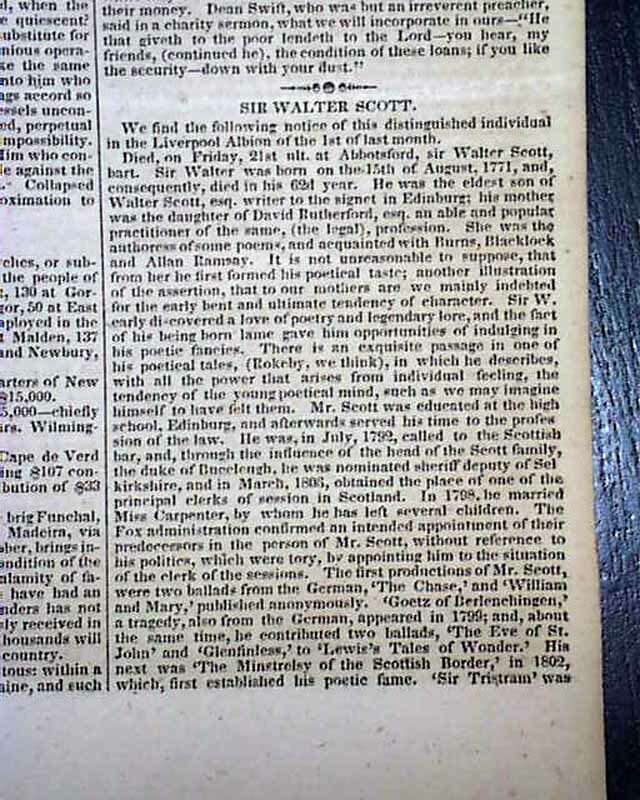 Among the articles are: "Sir Walter Scott" concerning his death & memorial, plus another article: "Sir Walter Scott (see); much reporting on the: "Elections" for President with many charts by state and county; "Progress of the Cholera" "The Cape de Verd Islands" "Chickasaw Treaty" and much more. 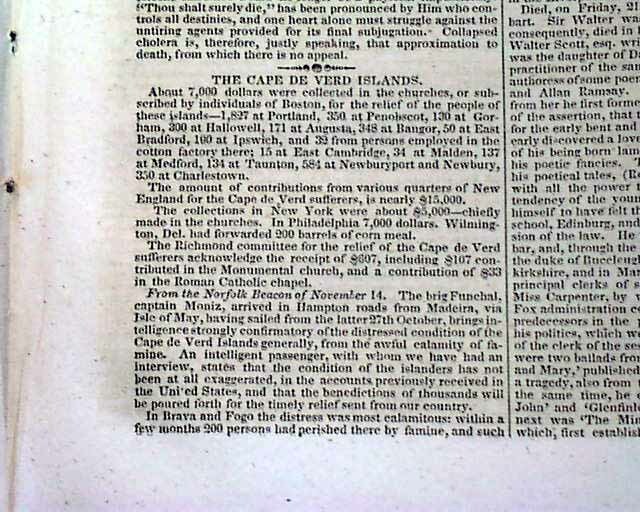 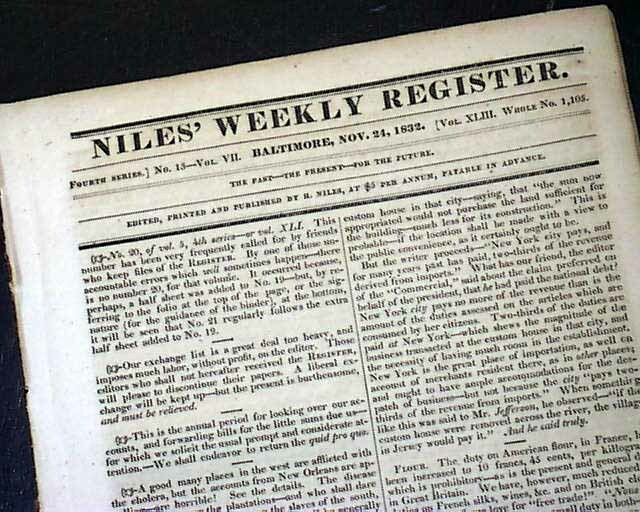 This small size newspaper began in 1811 and was a prime source for national political news of the first half of the 19th century. 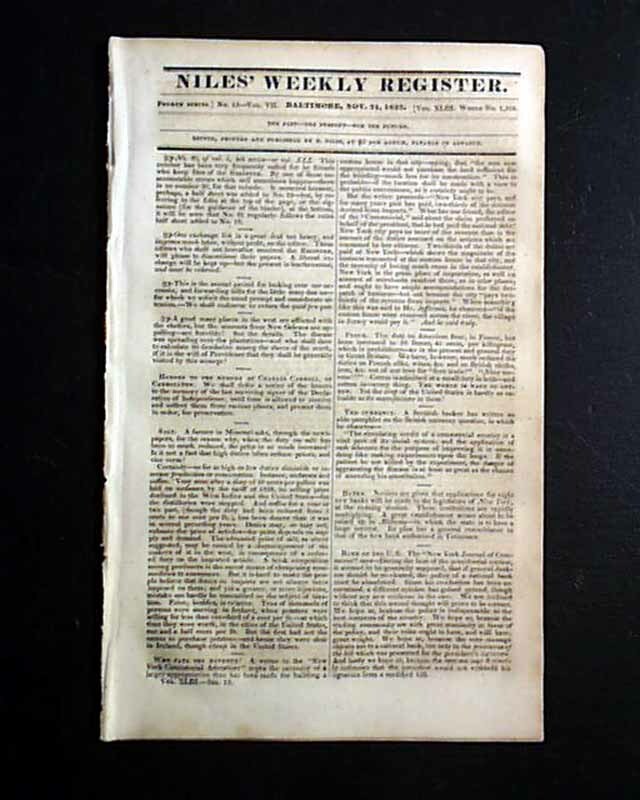 As noted in Wikipedia, this title: "...(was) one of the most widely-circulated magazines in the United States...Devoted primarily to politics...considered an important source for the history of the period."